a part of a multi-billion industry? Only in 2016, global lottery sales grew by 4%, passing $280 billion. Whitelotto gives you a unique opportunity to get you onboard in no time. Our cutting-edge lottery platform will pave the way towards your success! We strive to deliver the best converting product out there, using the latest standards in web design and development. Our team of designers will make you stand out in the crowd. No pre-made templates, your site will get a fully customized, unique, dedicated design. Our solution gives your customers a hassle-free experience across all platforms, boosting your sales results. Give your users the possibility to play the world’s biggest lotteries, offering them a great selection of the best jackpots and rollovers in one place. Get more traffic using affiliation partnerships, supercharge your revenue with the in-house affiliate system. We provide a fully featured solution, including a back office with user management, analytics, reporting tools and payment systems. 1) Quick Launch: You become our company partner with your OWN license for your domain! Deployment time approx: 30 days. 2)	Your very own lotto company: We help you with incorporating a relevant company structure with appropriate licensing and payment processors contracts. Use our know-how to save time and money, and concentrate on boosting your new lottery business. Deployment time approx: 60 days. We are a team of top industry professionals, and aim to be the best in our field. All this knowledge is at your disposal. Your success is our success. 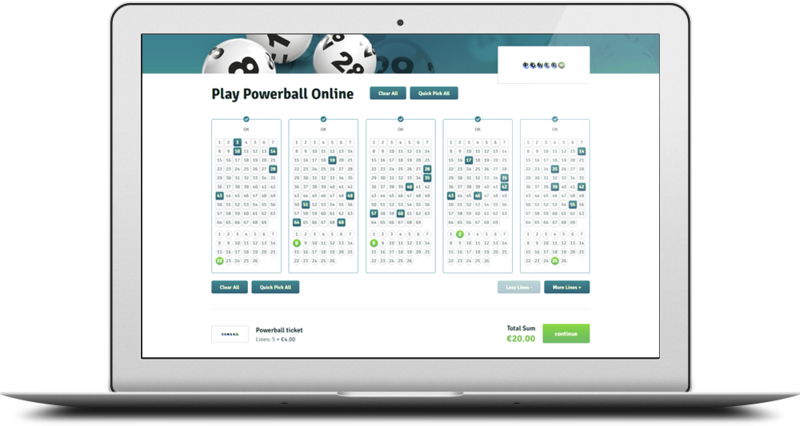 How to start lottery business What is the best lottery software program Open lottery platform Make your own lottery Lottery turnkey solutions Which lottery website script is currently the best on the market? Which lottery website template is currently recommended?